Understanding your blood glucose levels can play a crucial part in self-managing diabetes. Recommended blood glucose levels have a degree of interpretation for every individual and you should discuss this with your healthcare professional. 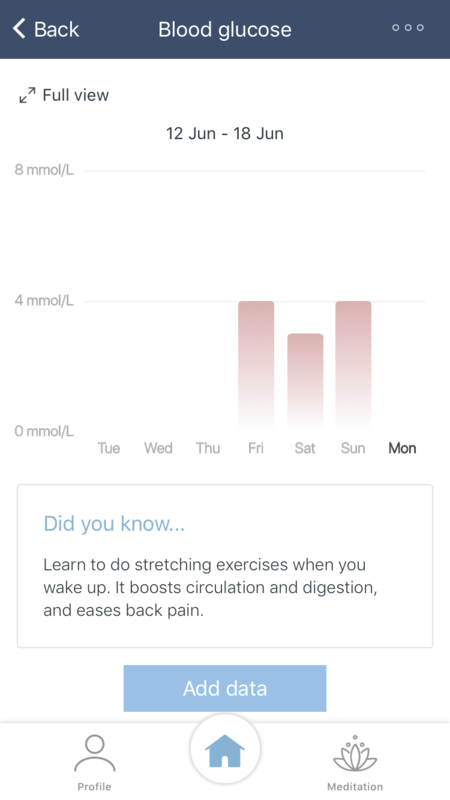 In the DeepH app, you can add and keep records of your blood glucose levels. We suggest using this function as ‘diary’ to keep your records for consultations with your healthcare provider.